2:00 - Drop off carved pumpkins at park for judging. 2:30 - Gather in Chestnutwold parking lot for registration. 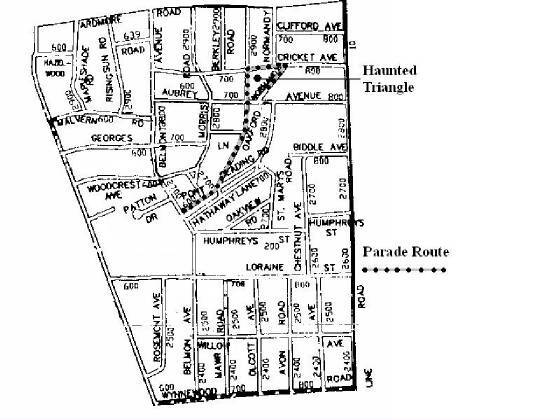 3:00 - Parade starts march up Oakford Road to the Park. Refreshments will be available throughout the evening at Lost Souls Tavern .